It is a winter phenomenon that as the weather gets colder, the air becomes drier. Dry air leads to dry skin, chapped lips, itchy eyes…the works. Dryness also produces static electricity which you often feel on your hair, clothes or when you touch a doorknob. Humidity can help lower these occurrences, but having humidity in cooler areas is a bit of a challenge. In such a case, you require humidifiers to increase the humidity level around you. 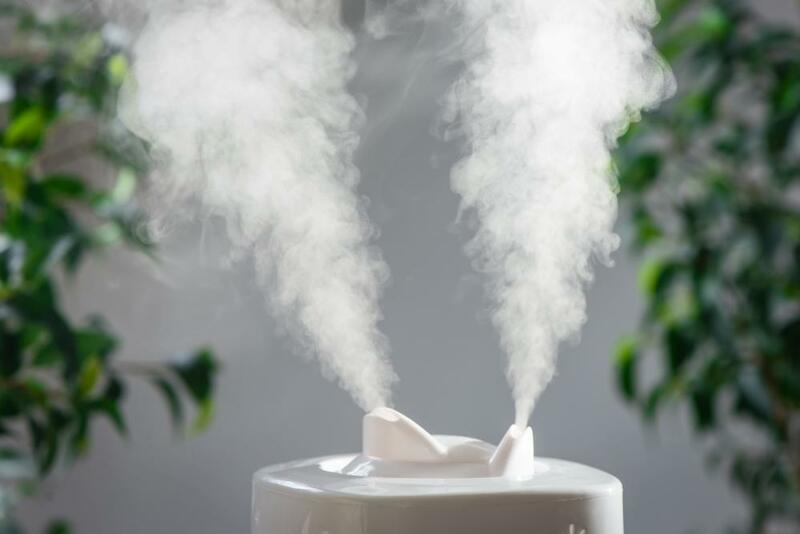 If you are looking for types of humidifiers that will work best at your place then read on below and choose one for yourself accordingly. Bypass humidifiers are the most common type of humidifier which is cheap and requires very little maintenance. These types of humidifiers are tiny and have a small capacity for humidity, which means that if you live in an area where the humidity level is moderately low then bypass humidifiers will be a perfect choice. They don’t possess their own fan and therefore the source of moisture is a furnace attached to them. The humidifier can be attached to your cooling system from where it works best. The functioning of this type of humidifier is also pretty simple as it absorbs warm air from the heat ducts which bypasses a water panel. The warm air absorbs moisture making it cooler and then it goes through an air stream and then into each of the room of your home; making them fresh and chilly. Bypass humidifier is also very convenient to use, as it has its own water supply from a plumbing system. Moreover, it doesn’t require constant purification and sterilizing. A fan powered humidifier along with a cabinet, reservoir, drum, motor, and float consists of a fan. The fan is what makes the humidifier special as it helps circulate the air at a much greater and a faster speed. Due to its fast speed, the humidifier is able to produce almost a gallon of humidity every day which causes rooms to cool much quicker than a bypass humidifier. This type of humidifier does not require much space, as it doesn’t possess a sizeable bypass duct. Furthermore, if your furnace is not running then you needn’t worry because a power humidifier, unlike a bypass humidifier, doesn’t have to depend on it for its functioning. One last tip is that if your house is made up of concrete slabs without any basements, and your HVAC system is in a closet or a garage, then a power humidifier will be the fit choice for you. One of the advantages of this type of humidifier is that the moisture it gives off is entirely hygienic. In fact, its steam can easily kill germs as it produces purifying the air. Plus, the amount of steam the humidifier exhales can easily be controlled according to the dryness prevalent in the room. The humidifier is a great investment as it is affordable and also produces enough humidity to make your home ooze an aura of comfort and calm.